A home insurance policy, also known as householder’s insurance, is the best bet to safeguard your house because it not only covers the structure of your home but also all its valuable contents from different kinds of perils such as earthquake, terrorism, flood, burglary and house-breaking. However, if you thought that you have ensured your peace of mind by opting for home insurance, which will take care of the most valuable possession of your life – your house — better do a reality check. Chances are that you may not get compensated adequately (or in some cases not at all) in the event of any mishappening, particularly if you just missed out something before signing on the dotted lines. 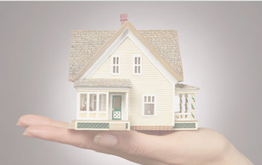 In home insurance, the most important thing to consider is the valuation of one’s property and valuables. For instance, one should not insure one’s home at the market value or at the price one bought it, say, years back, as the price of construction materials like cement has gone up considerably. Instead building and FFF (furniture, fixtures and fittings) should be insured on a reinstatement basis because in the event of a loss, both would have to be replaced at today’s cost of construction or replacement. This way, in case of any mishappening, you would be able to replace your loss fully without bearing any depreciation. Pavanjit Singh Dhingra, CEO, Prudent Insurance Brokers, says, “Many people incorrectly insure their homes, and even their offices or factories, either on the market value or the book value — the price they originally paid for it. In the first instance, they end up taking a higher sum insured, while in the second, they underinsure their property, resulting in claims being paid as per the average of the underinsurance.” You should, therefore, avoid doing that. One of the easiest ways to insure the structure is on a ‘per square foot’ basis. For example, if one has a 4,000 sq ft home and the replacement cost of a new house is about Rs 1,000 per sq ft, then one must insure the house for Rs 40 lakh. “The cost of land must not be taken into the sum insured. For this, one need not have a professional valuation done or justify the sum insured. In any case, adequacy of sum insured is only measured against replacement cost on the date of loss,” says Dhingra. Household goods should not be insured at the purchase (book) price, as adjustment for depreciation would result in very little claim being paid. It is also not always easy to know the replacement cost. So one may have to use approximations and also keep a list of contents separately (not in the home) so that if there is a major loss, one knows what all the items at home were. “One should also make sure that the RIV (reinstatement value) Clause is written into the policy so that the paid claim is adequate to rebuild and refurnish one’s home,” informs Dhingra. Today, with many homeowners owning expensive PCs, plasma TVs, DVD players, music systems, home theatre systems and other electronic gadgets, it makes sense to consider insuring these items for breakdowns. For this the EEI (Electronic Equipment Insurance) cover can be taken under a separate section in home insurance policy by listing the electronic items required to be covered and paying the necessary premium. The sum insured should be the present day replacement value. EEI, in fact, is an ‘all risk’ cover as it covers electrical and mechanical breakdown, fire, accidental damages, water damage, etc. and can be taken for electronic equipment up to five years old. One point, thus, to be noted here is that it does not make sense to insure electronic equipment which are more than five-year old! Also, while covering durables and other electronic and electrical appliances, it is important that description of the items covered, such as make, model and serial numbers, is mentioned in the policy. For instance, instead of mentioning ‘refrigerator’, mention ‘Samsung Refrigerator, 175 ltrs, Sr. No. DL-6958E0Z’. Jewelry/precious stones are covered under a separate section against all risk coverage. For instance, if you are getting your jewelry insured, the detailed description of the jewelry should be clearly mentioned in the policy. “The insured should get the valuation of the items covered done and should submit to the insurer. Photographs of the jewelry should also be made a part of the policy,” says Rahul Aggarwal, Director-Personal Lines, Optima Insurance Solutions. If these steps are taken, the original receipts of the jewelry, if they have been lost, will not be required. Otherwise, you will have to submit the same at the time of making any claim. Also, if there is any cash or jewelry to be insured beyond value of Rs 10,000, the same needs to be specifically declared and incorporated in the policy. In apartment complexes, where there are many owners, it does not make sense for individual owners to insure their homes. In this case, the society or association should insure the entire complex at the reinstatement value – i.e. the present cost of constructing the same building. For example, if a building was constructed 12 years ago at Rs 500 per sq ft, its book value would be Rs 500 per sq ft less depreciation. Many people, however, erroneously believe this is the value at which it should be insured. But the present cost of constructing the same building – the RIV — could be, say, Rs 1,000 per sq ft, leading to significant under insurance at the time of a claim. An apartment complex not only includes flats, but also substantial common areas and amenities. These also need protection. Besides, group discount can be given in case of insurance for the entire apartment complex which can reduce the premium. In the case of rented accommodation, the tenant may be required to insure the property if it is part of his lease agreement (contractual requirement). Otherwise, the house may be insured only against the contents as well as leasehold improvements such as additions of false ceilings, partition walls, renovations to the bathroom, etc, as these are expenses borne by the lessee. If one gives a list of items insured, then one must be aware that only the items listed are covered. Alternately, one can give a lump sum value of the sum insured without disclosing the sum insured of each item. For stand-alone structures — such as properties purchased more for long-term investment than as a place of residence — long-term policies of 10 years can be purchased either at significant discounts or with a provision for an inbuilt annual increase in sum insured. Those who may be making significant additions and alterations to their homes during the term of the policy can take an omission to include Additions and Alterations add-on cover. If no additions or alterations are made during the policy term, the amount paid for this cover is refunded. Usually, most home owners do not think of taking Workman Compensation (Employer’s Liability) policy, because they don’t know they can be held liable for the accidental death of or bodily injury to a domestic servant. HNI and foreigners employing domestics are at higher risk from their servants and their families. Workman Compensation Insurance is inexpensive and provides cover for liability under the Workman’s Compensation Act, the Fatal Accident Act, and common law. These days burglary has become an unpleasant reality of urban living, even in residential complexes which provide security. With higher incomes and greater travel, both for work and pleasure, homes are often unoccupied for long periods of time. While we all need to take precautions, burglary insurance can indemnify us when our valuables are burgled. Under this cover, however, there is a policy condition that the home must not be unoccupied for more than one month. So ensure that a servant or family member occupies your home in your extended absence. However, better be aware that if an employee or family member is the burglar, the claim will get rejected! List of items: The items to be covered by the policy should be clearly mentioned. No false representations or declaration: Any wrong statement made to the insurer (intentionally or unintentionally) can go against the insured and may even make the contract null and void. Valuation: The valuation of the building and its contents should be accurately and carefully done. The basis of indemnification should be the reinstatement value of the subject matter of insurance. Coverage: The coverage should be carefully demanded and it should be properly checked if they are in accordance with the coverages demanded. Insurable interest: It should be kept in mind that insurance can be taken by the person who has insurable interest in the subject matter of insurance i.e. who has a legal relation with the property at risk. In other words only that person can take insurance policy who will suffer loss if an uncertain event occurs. Risk Location address: The address of the property to be insured should be clearly mentioned. Mid terms additions and review of values at regular interval: Any material information about the changes in the property should be given to the insurance company within the reasonable time period. Check the documents carefully: All necessary steps should be taken to keep the insurance documents safely. Use an intermediary for proper advise and keeping track of renewal: Sometimes it becomes necessary to take the advice of a professional because normal individual may not be able to understand the policy wordings or what coverages are important for him and what other rights are reserved for him. Check all warranties, conditions and exclusions in the policy: Do not ignore the conditions or warranties mentioned in the policy. These are important and should be complied with. Non-compliance of any of them may not hold the insurer liable of paying the claim and make the contract null and void. The most important thing to do is after taking home insurance is the insured should act as if he is uninsured and take all the reasonable steps to prevent the loss! Reposted from The Economic Times.